“Moist.” “Mouthfeel.” “Flavor profile.” Let’s all agree to eliminate these words from our collective vocabulary. It’s hard to talk about food, and I say that as a professional. The truest human reaction to good food is an inchoate “Mmmmmph.” There are only so many synonyms for “delicious” — maybe an indication that our predecessors were generally smart enough to sincerely give thanks, eat and move on to the next thing. Now an entire cultural-industrial complex has sprung up around saying more, and, unfortunately, it contains a lot of verbiage you don’t really want touching your food: words and phrases that belittle this profound connection we all share, or that sound unbearably pretentious, or that are just gross. Let’s stop saying some of them! Related video: What is Pacific Northwest cuisine? “Foodie”: This neologism with its diminishing little “-ie” suffix is everywhere; the mental image it immediately summons is of the moneyed, middle-aged white person taking photos of their pricey, precious restaurant plate for Instagram. You may care deeply about food politics, you may be appalled by consumerism and income inequality and, you know, hunger — you still get this Mickey Mouse label. It’s too late to stop “foodie,” but we can go on strike against it. No, there’s not really a good replacement. Try using more words? They’re free! “Mouthfeel”: It sounds like your mouth has hands! 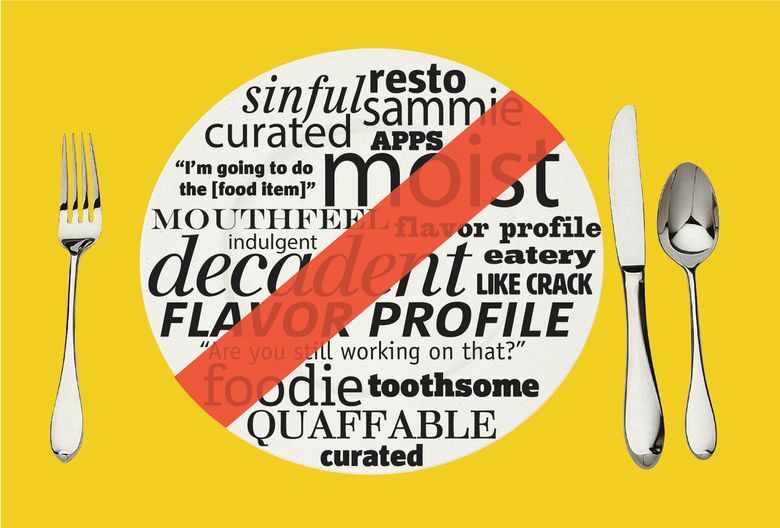 “Moist”: Many foods can and should be moist, yet it is well-documented that this is one of the most-disliked words ever, in part due to its unpleasant mouthfeel (mmmmm, moisssst). I’ve resorted to “anti-dry” in the past — not great, admittedly, but better than moist. “Loose”: I read a restaurant review approximately a decade ago that used this word to describe a sauce. “A loose sauce.” I wish I could forget. “Addictive”: Addiction is serious. It is an affliction. It is not your molten chocolate cake served in a Mason jar. “Like crack”: Like “addictive,” but with the addition of class connotations that make for an even higher level of jackassery. Have you ever smoked crack cocaine? Then you could say this about your molten chocolate cake served in a Mason jar. But you probably wouldn’t. “Decadent,” “indulgent,” “sinful”: ACK, chocolate!!! Molten and served in a Mason jar!!! Let’s make our sins better than this. “Guilty pleasure”: See previous entry . Our guilt is between each of us and our god(s), of course, but we can also just eat Nacho Cheese Doritos from time to time and leave the self-flagellation out of it. “Resto”: You mean “restaurant” and we get that you’ve been to Europe. “Sammie”: Please allow the sandwich its dignity. “Apps”: As in, “Let’s do some apps to start!” Squeeeee! “Toothsome”: Your teeth are more sentient than the rest of ours, sir. “Quaffable”: This one is all right … at the Renaissance faire. Please pass the chalice! “Curated”: Yes, show at museum. No, selection of cheeses and charcuterie. “Elevated”: As in “elevated Mexican cuisine” — could you find a way to convey that it’s not a taco truck without almost getting a little Trumpy? “Flavor profile”: We meet at last, Flavor Profiler. I’ve long heard tell of your supertaster abilities, and your Instagram is the stuff of legend. Let me cue up your theme music. Then, we duel. 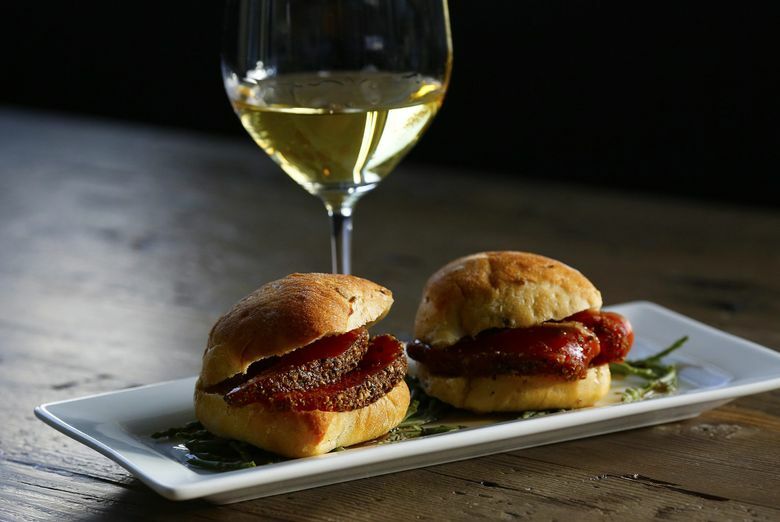 Read Part 2, in which 9 Seattle chefs share their most-hated food terms.